RC Trains is run by me, Rik Bennett, with assistance from various modelling friends and commercial collaborators. I have been a railway modeller (in various scales) for at least the past 50 years and in that time I have accumulated a range of knowledge and experience. 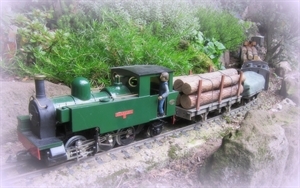 In 2005, I moved over to large scale garden railway modelling, now focusing exclusively on battery power and radio control. I have twelve kit-built, kit-bashed and scratchbuilt battery powered locos running on my railway - both 45mm and 32mm gauges, all using RCT and Deltang equipment. 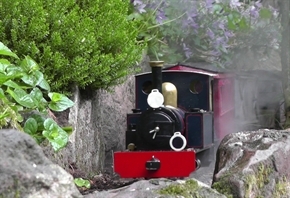 Over the years, I have shared my experiences through my blog about building and running the Peckforton Light Railway which is hypothetically set in the Cheshire countryside in the North West of England. You will see from my blog that I have gained a great deal of experience of using Deltang Radio Control equipment and have shared this knowledge through various articles, postings and videos. RC Trains came into being after responding to a request from a fellow modeller to construct a Deltang Transmitter kit for him. As a result, I decided I would draw upon my accumulated experience with Deltang radio control equipment to construct and market Deltang based transmitters, incorporating some of the modifications and enhancements I have discovered over time. 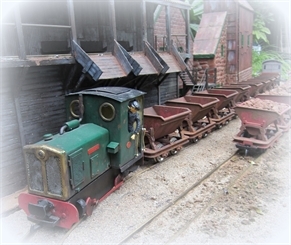 I have been a great enthusiast of Deltang equipment for some time and I have always regarded it as the most versatile, well designed and cost effective approach to radio control for garden railways. It is my intention to start small and then steadily expand the range of equipment and services which I provide on this website. I am always interested in hearing from fellow modellers, particularly if you have ideas and suggestions for further developments. Please don't hesitate to contact me - see Contacts page. RC Trains products have a 1 year return to manufacturer warranty and a 5 year repair period with best endeavours after that. Postage to RC Trains is at your expense and return postage is free. Liability is ony accepted for the RC Trains product itself. No liability is accept for consequential damages.